Hopewell Valley suffered a tremendous loss in the recent passing of Larry Rothwell. I truly hope our hearts can fill the void left in his absence. Mr. Rothwell was the consummate gentleman. He demonstrated that one could build a business in servicing the needs of the community while doing so with compassion and respect. Larry Rothwell championed social responsibility and led the way for many other community members to support one another. When I first met Mr. Rothwell (who insisted that I call him Larry), he described to me his “one core mission: to continually earn the trust and confidence of my customers and my community.” He went on to explain the importance of being a steward of the community by giving back through service and philanthropy. Larry garnered an amazing amount of respect and trust from the Hopewell Valley community through his personal commitment to those values and his integrity. 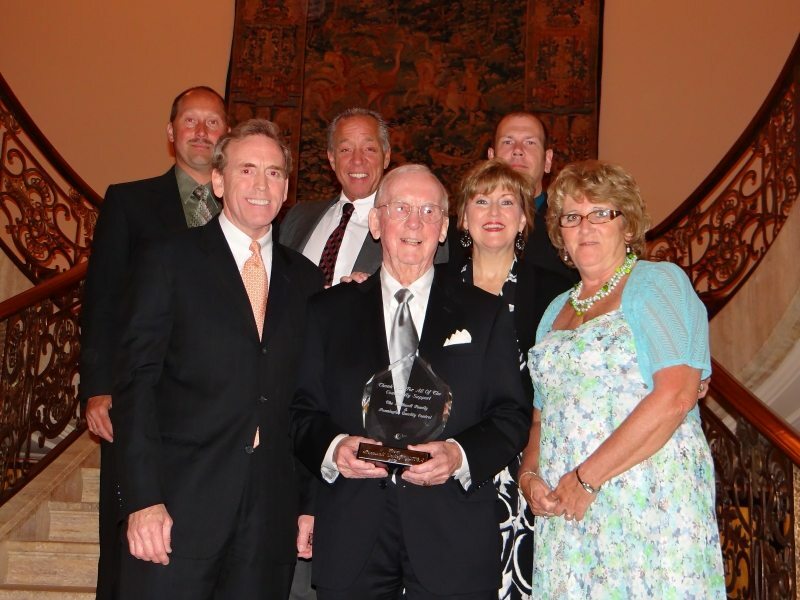 To the Hopewell Valley YMCA, Larry Rothwell served as our champion for Social Responsibility, the foundation of our focus areas and the root of why our charity exists. His legacy lives on through the annual presentation of our most prestigious award, the Larry Rothwell Social Responsibility Award. This award is given to recognize the sacrifice and leadership of stewards and champions of social responsibility in our Hopewell Valley community. Today, we all gather to celebrate the life of Larry Rothwell. Today, we begin the healing process of our communal loss of a great leader. We replace the feeling of loss with a greater fondness for a great man, Larry. As a final demonstration of his love for others and his commitment for supporting the local community, Larry asked that donations be made to our Hopewell Valley YMCA in his name. On behalf of the YMCA, I am humbled and honored to be asked to memorialize Larry’s legacy. If you would like to make a donation in honor of Larry you may do so here.